Best Moments with Best Friends! 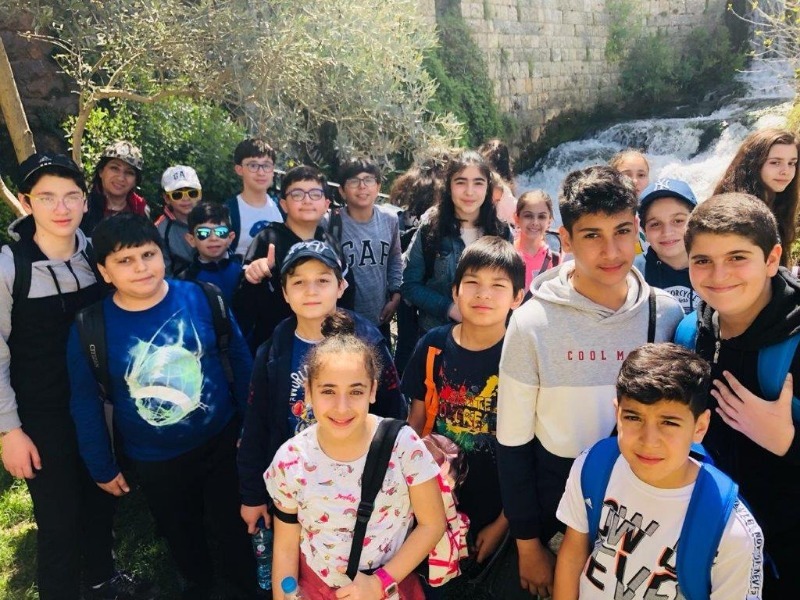 Last weekend, grade six students went on a two-day trip to Chouf and Jezzin. 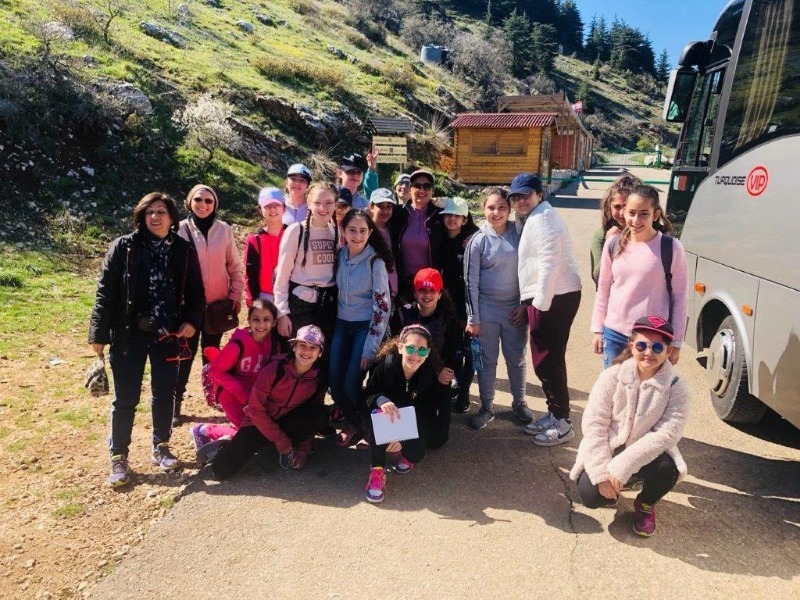 The trip was planned and organized by the English language coordinator, Ms. Rana Shami Shkeir, in the elementary school, and a team of teachers: Ms. Rima Hussami, Ms. Ghina Amhaz, Ms. Dima Nasser, and Ms. Iman Sidani, who warmly accompanied students, guiding and instructing them about social and life skills. On the first day, students chased butterflies and learned about their different kinds. 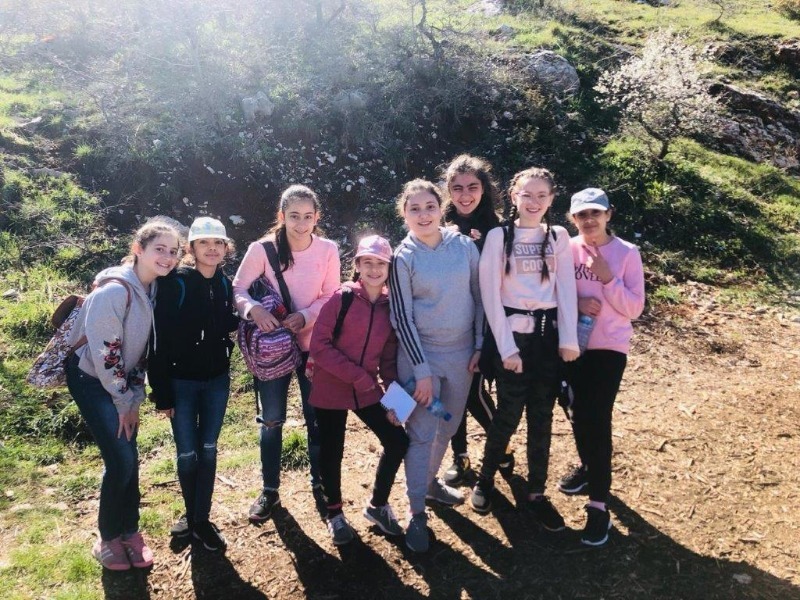 Then, they hiked in the forest of Chouf and got information about the different trees and various kinds of plants. 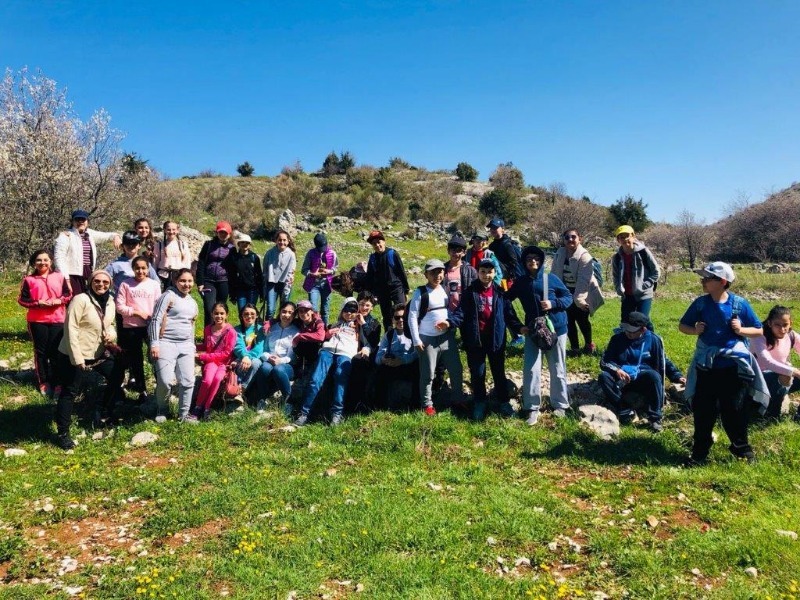 After having lunch at a local house (typical food prepared by a local family) in Baadarane, students headed to Niha and walked through the trail to reach Fakhreddine cave located in the Shqif Tayroun cliff. There, they met a ranger who told them the story of Fakhreddine. They even observed the hyrax pack (Tabsoun) and learned about its habitat, food, reproduction, and other things. 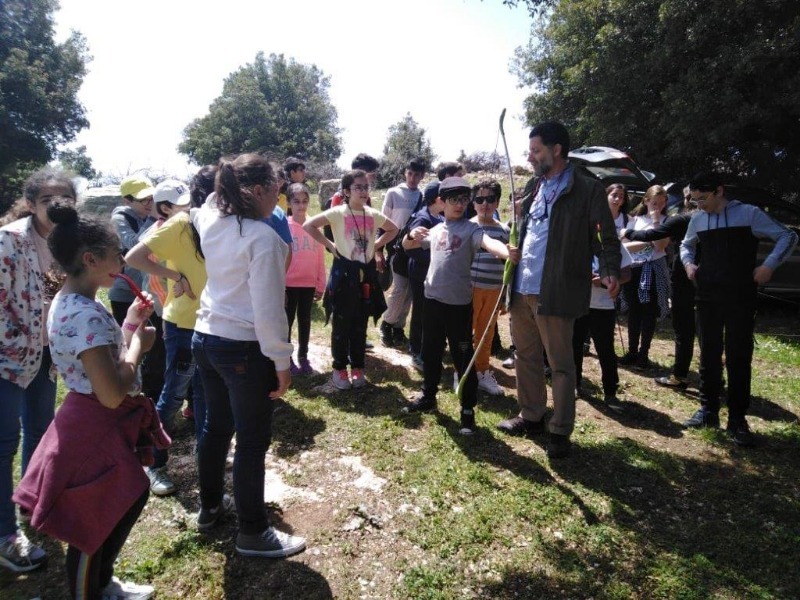 On the second day, students met a local genuine craftsman at his workshop, producing Jezzine’s traditional cutlery .Students were curious to know about all the steps of producing traditional knives and spoons .Then, students walked around the town for more sightseeing of Jezzine, its water source and waterfall. 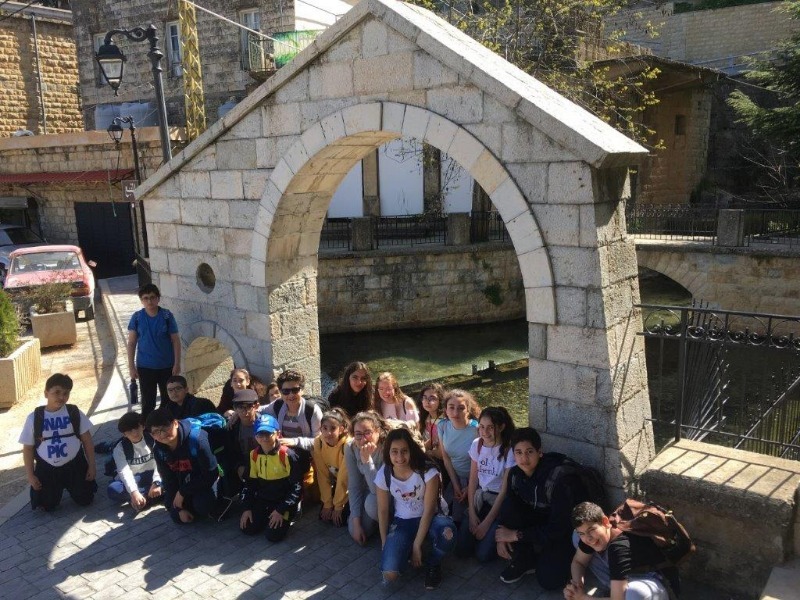 They also visited an old but refurbished water mill transformed into a small chapel in the heart of the old town; they inquired about the steps of grinding grains with the renewable energy of water. 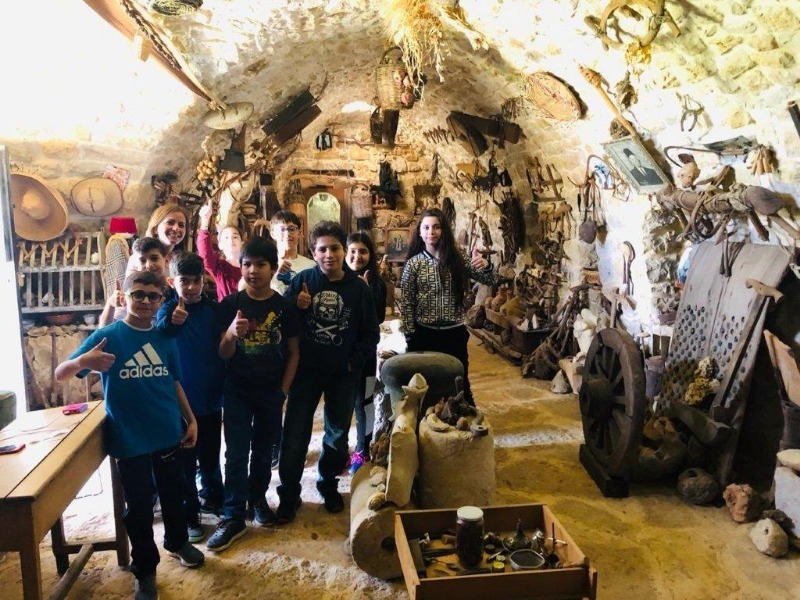 Finally, students had a walk around the village to discover the remains of Joumblat’s historical serail,,the natïve museum of the weaving loom, and the remains of an old carob molasses press house. 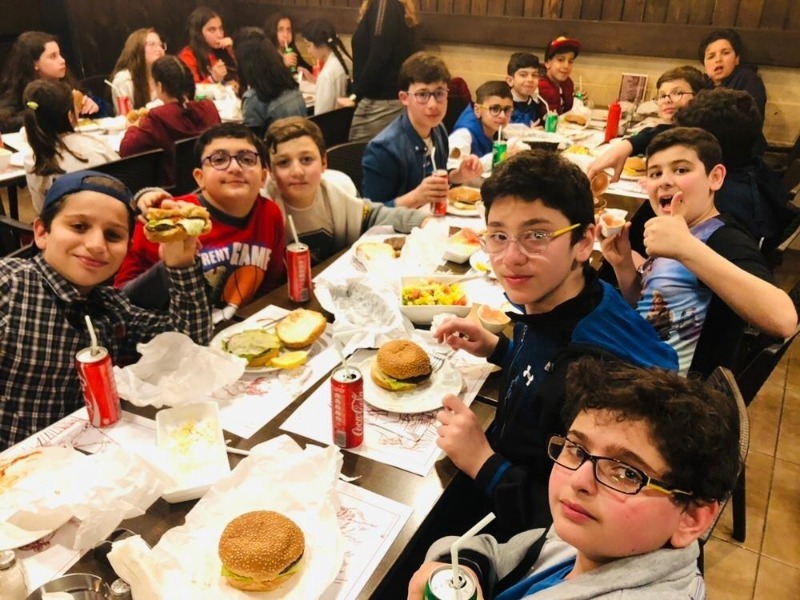 Before having lunch in a picnic area, students competed in two different activities: archery and escape the room. 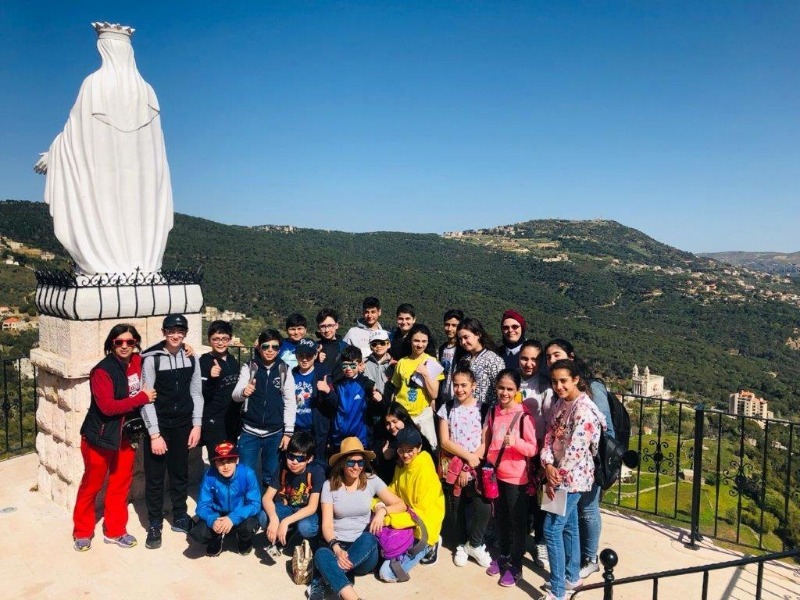 The unforgettable experience was a blast for students who came back loaded with great memories, more friends, and new information. 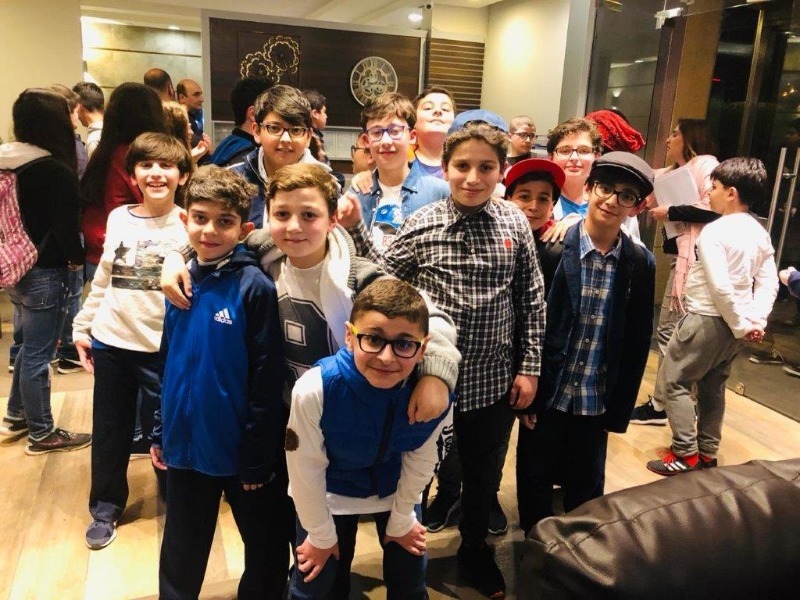 Great thanks go to Mr. Pascal Abdallah, the head of Responsible Mobilities, and Mr. George Hobeika, who prepared wonderful activities and presented valuable information for students.